The WCAA has created the Inclusion and Diversity Engaging Alums (IDEA) Working Group. This initiative is meant to be as inclusive as possible, to explore identity and intersectionality across the full alumnae body. 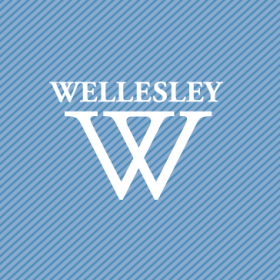 The mission of the Wellesley College Alumnae Association is to connect alumnae to one another and the College, while supporting Wellesley’s institutional priorities. Inclusion and diversity are an important focus of the WCAA, which aligns closely with President Paula Johnson’s commitment to inclusive excellence. With that context in mind, the WCAA has created the Inclusion and Diversity Engaging Alums (IDEA) Working Group. This initiative is meant to be as inclusive as possible, to explore identity and intersectionality across the full alumnae body. IDEA will be composed of approximately 12 alumnae and student volunteers, plus a few staff members. It is charged with examining ways the WCAA can leverage communications and programming to drive connectivity and belonging among alums across all communities. Lauren Young ’99 and Ellis Magidson Griffith ’94 will lead IDEA, in conjunction with Missy Siner Shea ’89, WCAA executive director, and Mared Alicea-Westort, assistant dean of intercultural education and advisor to students of Latina descent, both on campus. The group will explore a variety of related issues including but not limited to: identity and intersectionality; existing on-campus programming as well as potential virtual engagement opportunities; alumnae-student connections; and communication methodologies. Within nine to 15 months, the group will make detailed recommendations to the WCAA that will further the goal of stimulating and increasing broad-based alumnae engagement with Wellesley.